I raked the dead grass and leaves out of my backyard shrubs and saw this giant orange tabby jumping over the fence to the next yard. No sooner did I wonder why it bounded so fast from my direction, I smelled the kitty turd. I finished this chore with barely enough time to get moving to a theatre thingy called Strange Bedfellows happening in Bay View. So I’m riding down 794-East with fresh catshit on my shoe. 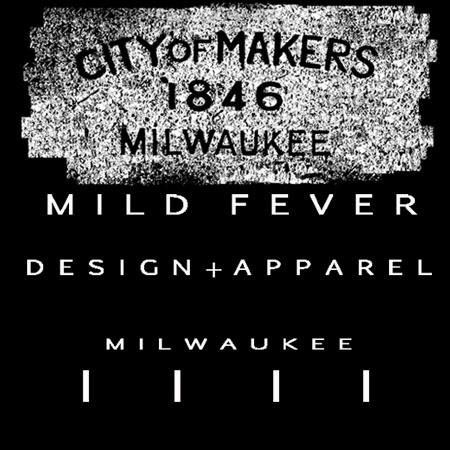 I’m blasting a cassette dub of Liquid Pink, super hyped because in seconds I’m going to be crossing the Hoan blasting Liquid Pink just after dusk heading to the Alchemist Theatre, with catshit on my shoe: Milwaukee-Style. At the Alchemist Theatre, Strange Bedfellows has the ghost light on inviting people into lounge’s dim confines. Jeff Ircink’s multi-format piece screens several independent short films as a prologue to his stage piece titled The Bed. A straight forward endeavor, weaving movement and narration, The Bed takes us through the cycles of life in “time-leap”. The narration contemplates the broad view of human existence relative to the most constant and basic amenity someone can have, their bed. Brilliance somehow always finds its way home through simplicity, as less gives more here in the same way it always does. Although the linear path of life gets hammered home in The Bed, each short film that precedes it offers a take on the varied relationships people have with their beds along the way. The films bring us to top of mind intersections with our beds like sleep or romance. In other less direct ways, some of the film content Ircink selects shows us more unsettling places that beds creep into life where health and comfort are concerned, and sometimes where a physical headboard and mattress don’t apply. These video interludes served up the most inadvertently comical moments of the entire piece, stuffed with this certain Milwaukee-style curmudgeonly matter of factness that kids always get a kick out of. Tempered with the poignant reality that Ircink’s family that featured in these videos now trod through their golden years, I’m sure these clips will always provide a memory of how they were. As a production concept, Ircink succeeds in pairing these films together to actually give more relevance and potency to each. With the exception of the film that tells a microdrama subplot in the last year of President Kennedy’s life (which could have stood alone) reveals the boundaries of absurdity that leaders of the free world have to deal with behind the pomp and circumstance. Strange Bedfellows has a few nice touches that give the production some additional dimension. Wisconsin Public Radio’s Norman Gilliand provides the narration for the stage piece The Bed. Ircink, showing the resourcefulness of an experienced film producer, got Jeff Bridges and George Winston (Lullaby (Sandman)) to lend some of their musical works to the production. Yes, Jeff Bridges has weird and experimental music out called Sleeping Tapes. Ircink also evokes Siegfried Sassoon from extreme obscurity through one of his film choices. Jeff Ircink’s The Bed is performed by Mike O’Toole, Lauren Hoefle, Amanda Morden, Nolan Zellermayer, Brandon Haut, Emma Kessler, Robert Schreiner, Philip Sliwinski and Kathy Landry. 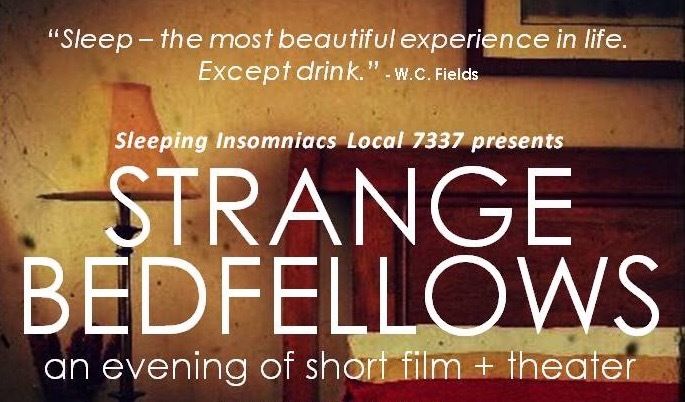 Jennifer Naida co-produced/co-directed Strange Bedfellows. Technical credits go to Maxwell Huenin (technical manager) and Aaron Koepec (scenic, sound and lighting design), Parket Gayan (video production), and Lisa Quinn, Amanda Marquardt and Naida (costume design). Strange Bedfellows has double feature shows at 7:00 and 9:00p on the coming Fridays and Saturdays through May 12 and 13 at the Alchemist Theatre in Bay View, Wisconsin. The production is well sponsored and feature a few in show give aways like Rishi Tea samples and Pop’s Kettle Corn. Attending the show also throws you in a raffle for the fancy Steinhafel’s bed frame used in the performance of The Bed.